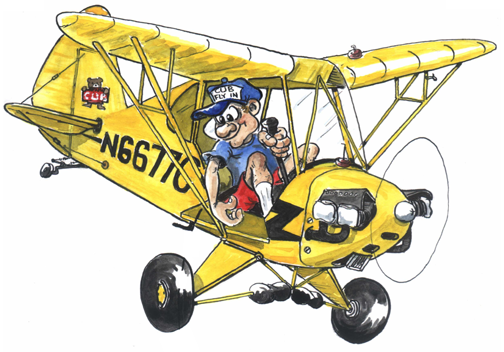 The West Coast Cub Fly-in is an annual aviation event that is hosted by EAA Chapter 275. The event is held each year at the Lompoc Airport (LPC). At this time we do not provide an opt-in form or any way to collect your contact information, other than what you voluntarily provide in comments or email directly to us. Your data is not shared with anyone outside of the West Coast Cub Fly-in and EAA Chapter 275. If you voluntarily provide us with your contact information we may use it to inform you of our events. WestCoastCubFlyin.com uses Google Analytics for basic data and online traffic analysis. Click here to learn more about Google Analytics Cookie usage on websites. If you want to avoid these cookies you can find out more about Google’s Analytics Opt-out Browser Add-on. Your data is not shared with anyone outside of the West Coast Cub Fly-in and EAA Chapter 275. If you voluntarily provide your contact information we may use it to inform you of our events. You may contact us to request removal of your data or information from our mailing list. Visitor comments may be checked through an automated spam detection service in the future. Currently we personally check visitor comments, and your data is not sent anywhere outside of West Coast Cub Fly-in and EAA Chapter 275. At this time we do not provide an opt-in form or any way to collect your contact information, other than what you voluntarily provide in comments or email directly to us. Your data is not shared with anyone outside of the West Coast Cub Fly-in and EAA Chapter 275. If you voluntarily provide us with your contact information we may use it to inform you of our events. You may contact us to request removal of your data or information from our mailing list. The West Coast Cub Fly-in website is provided for informational purposes only. We do our best to provide accurate information, but are not to be held liable for unintentional errors or misinformation.